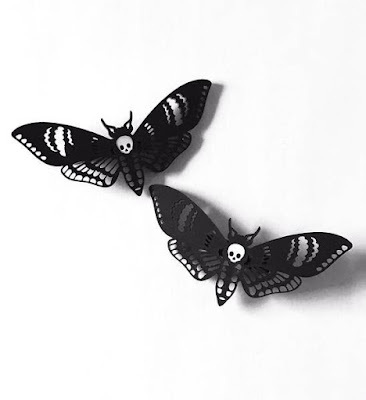 Curiology UK is our goth shop of the week! We think you will love this collection of earrings, rings and necklaces. 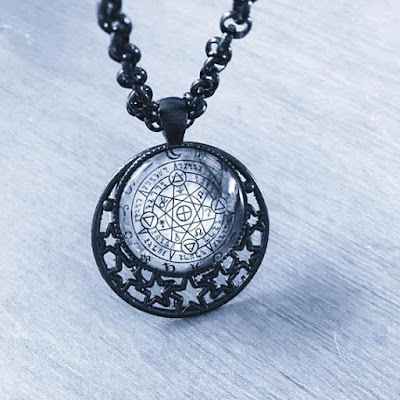 These pieces are made to order, so you can be sure that your Occult moon necklace is unlike any other. 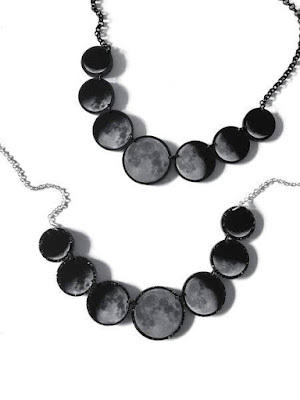 Imagine the compliments you will receive wearing this moon cycles necklace. The laser-cut details are exquisite! 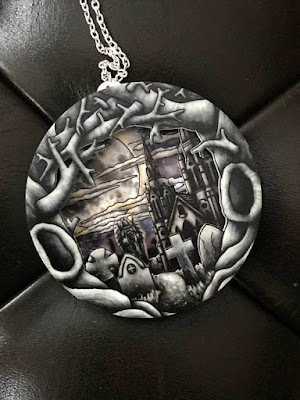 This In Loving Memory layered diorama necklace is a bit more macabre but not over the top. 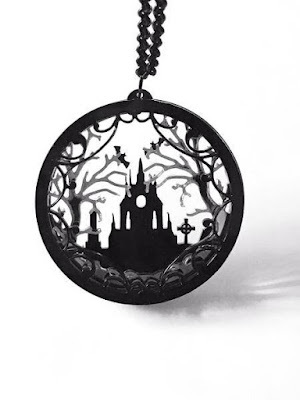 The Dearly Departed necklace looks like a depiction of a goth fairytale, so of course we are loving it! 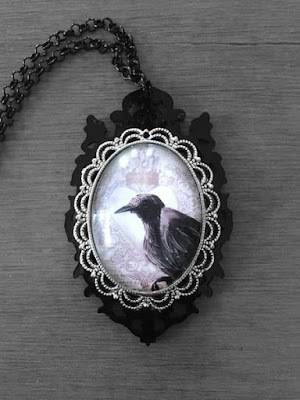 The crow inside the glass dome of this Raven cameo necklace is a bit eerie but so cool. We love the intricate details on this pendant nacklace. 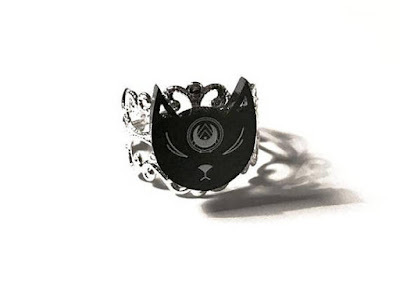 Cats typically give off a regal air, and this lunar kitty ring is no exception. The colors and metal finishes are fully customizable on this ring. 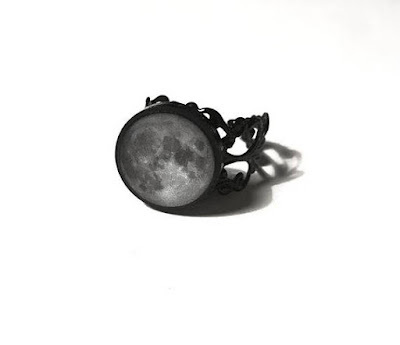 You could wear this full moon ring as a statement piece or pair it with other rings for a layered look. 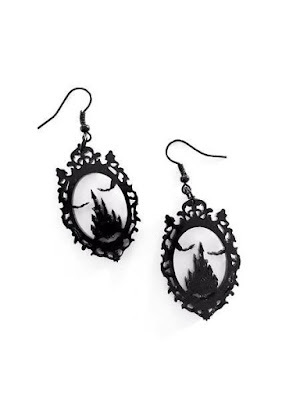 I just ordered these Dracula's castle earrings and I am excited to try them out. Explore the rest of Curiology UK's Etsy shop and let us know what your favorites are!